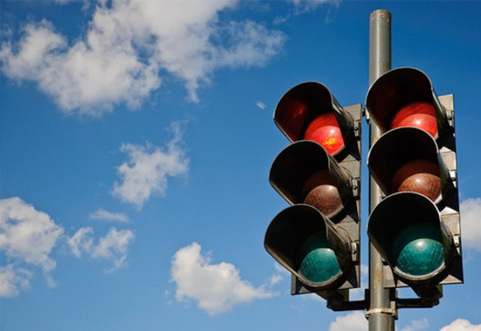 The death of the traffic light? The combined brains of MIT, the Italian National Research council and the Swiss Institute of Technology have developed a conceptual traffic system (”Light Traffic”) for a driverless future in which cars pass through intersections unencumbered by signals. The slot-based system relies on sensors which keep the cars at a safe distance from each other and which automatically predict speed on the approach to junctions. All of which ensures no collisions and efficient traffic flow at busy intersections. MIT researchers plan “death of the traffic light” with smart intersections.